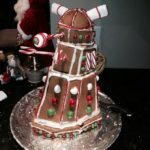 Its that time of year again when it looks like Santa Clause threw up all over my living room and my neighbor’s front yards after having a little too much eggnog. 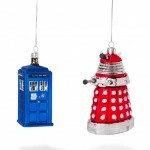 While I am not a huge fan of the highly commercialized Christmas holiday and the outrageous electric bill that goes with it, like other sci-fi loving geeks, I know that the real reason to celebrate Christmas is the annual Doctor Who Christmas special! 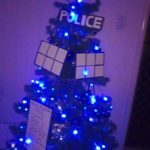 Speaking of Doctor Who and Christmas, it seems one Christmas loving Whovian decided to turn their Christmas tree into a Christmas Dalek! 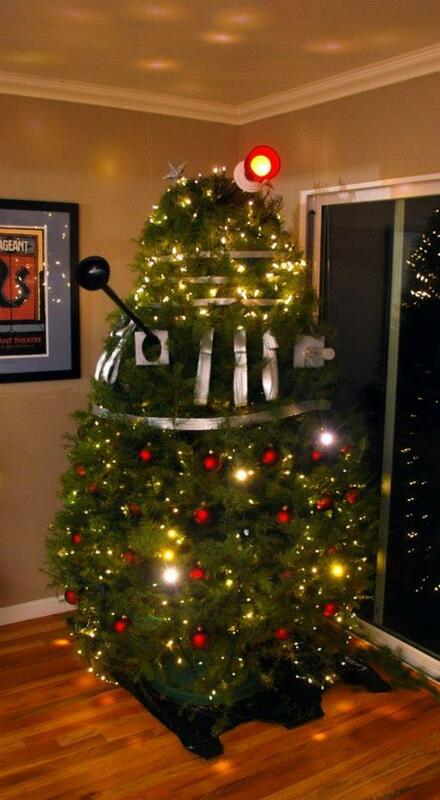 I’m not sure who decorated this Christmas tree like a Dalek (if you know, please let us know in the comments below so we can give them the credit they deserve), but I am very curious to know where one finds a Christmas tree with a rounded top?! 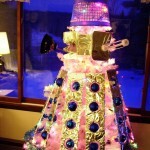 This isn’t quite as bright of a tree as the pink and gold Dalek Christmas tree I posted last year but I don’t suppose it matters what color the Dalek tree is when it comes to exterminating Santa!